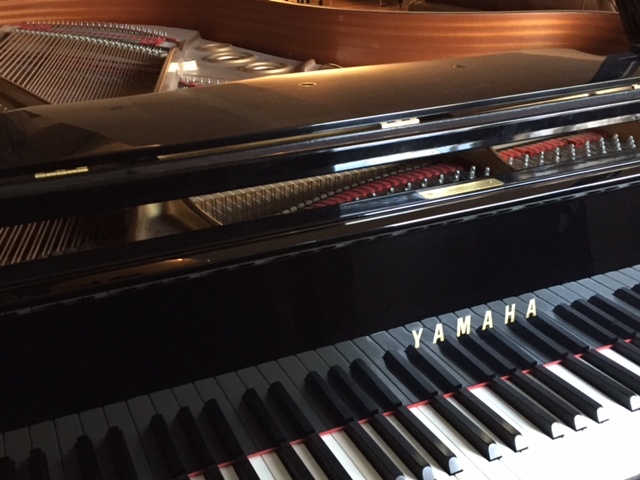 Our used piano inventory is extensive and changes regularly. This page represents only a small part of our used piano inventory. Please contact us or call (203) 968 8888 for the most updated information. Finished in Walnut and in excellent original condition. 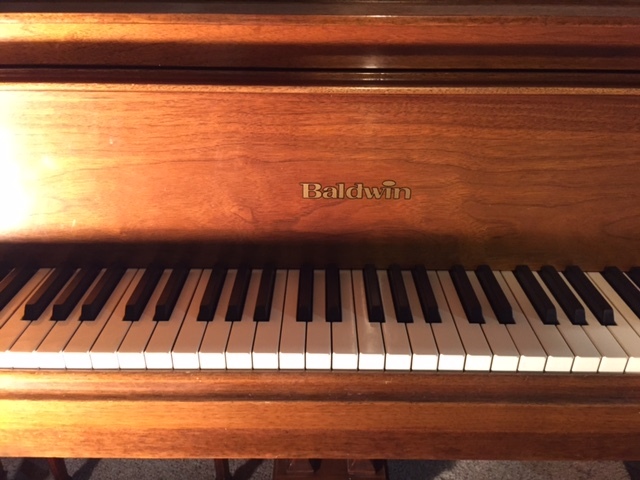 This piano was still made in the USA and prior to Baldwin moving its production to a factory in China. This baby grand piano is in great original condition. 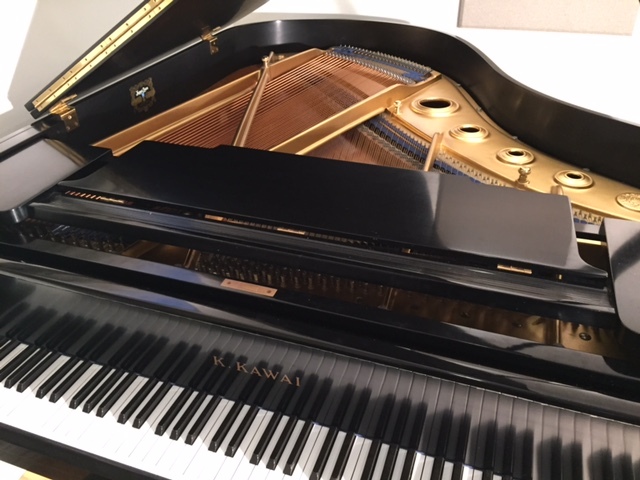 All Boston pianos are produced by Kawai and sold, when new, at Steinway dealerships under the slogan 'designed by Steinway'. 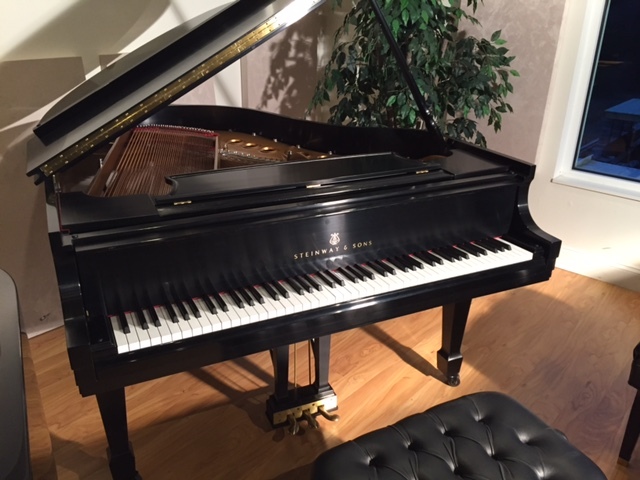 Brodmann pianos are produced in China and feature a scale design remarkably similar to that of a similar size Steinway model A piano. 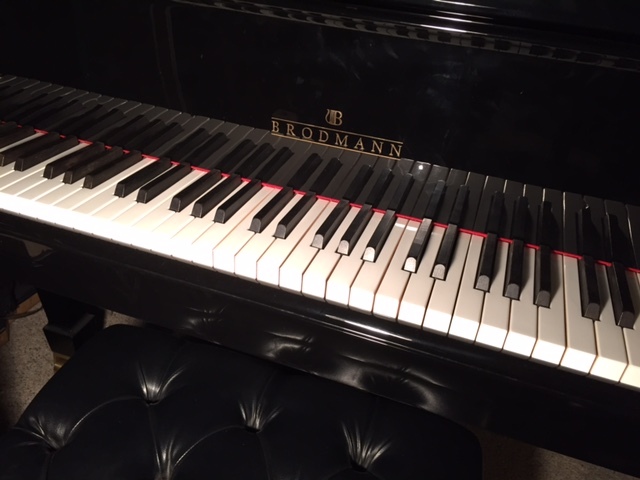 Brodmann pianos are produced in China and feature a scale design remarkably similar to that of an equivalent size Steinway model A piano. This baby grand piano is in 'better than new condition' after having received the best possible preparation by our expert technicians. Essex Pianos are built by Pearl River in China. 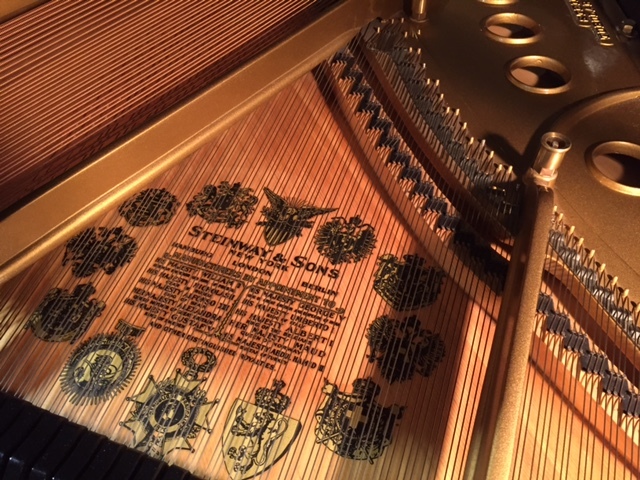 When new, they are sold by Steinway under the slogan 'designed by Steinway'. 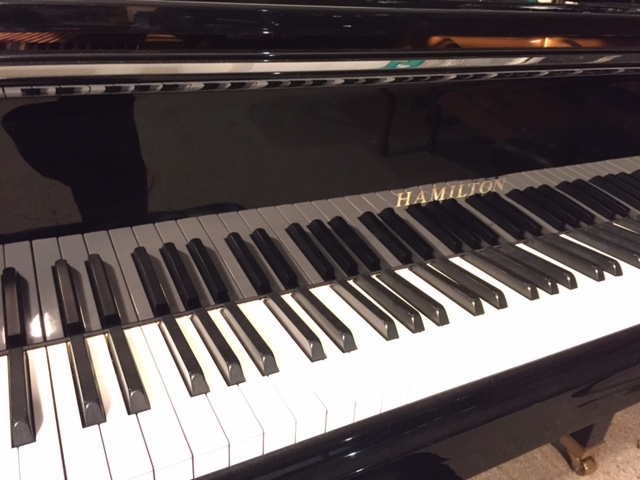 This small and inexpensive baby grand has been produced for Baldwin in China. It is in original mint condition . This small mahogany finish piano has a round, pleasant tone. This piano was made in China and is surprisingly nice for its attractive price. Made in Japan, this Kawai piano is an excellent and very reliable work horse. Prior to being traded to Allegro Pianos, the owner of this instrument invested over $10,000 in new strings, pins, action parts and other enhancements. 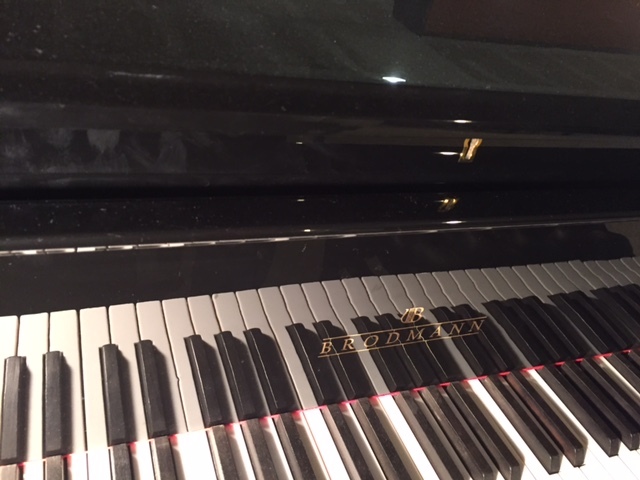 The reconditioning work was properly done and the piano represents an excellent value as it is offered for less than the cost of the work performed.. This piano was restored by another rebuilder. It was traded to Allegro Pianos from a private home. It plays and sounds like a nice Mason and Hamlin of the period . Beautiful walnut finish. Made in Korea. This piano was reconditioned a few years ago by another dealer with a good, new action, strings, damper felts and other parts. The original soundboard is as good as it gets for a piano of this vintage. Steinway model M (5'7) circa 1927. 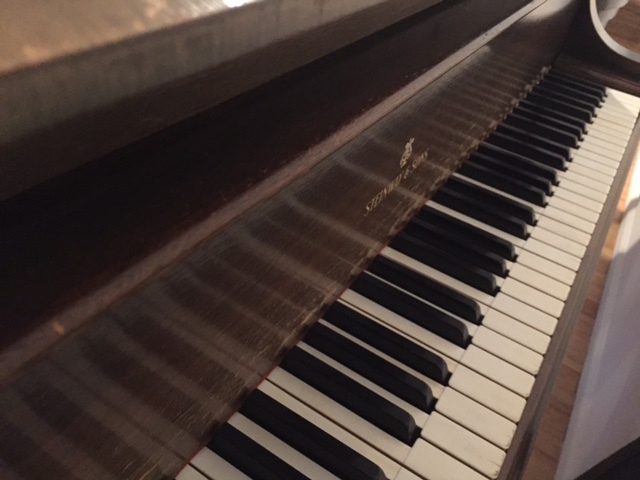 This piano was reconditioned by another rebuilder including a new finish, strings, pins and action parts. The dual price reflects an option to purchase it at its current condition or choose Allegro's premium technicians to bring it to a higher level. 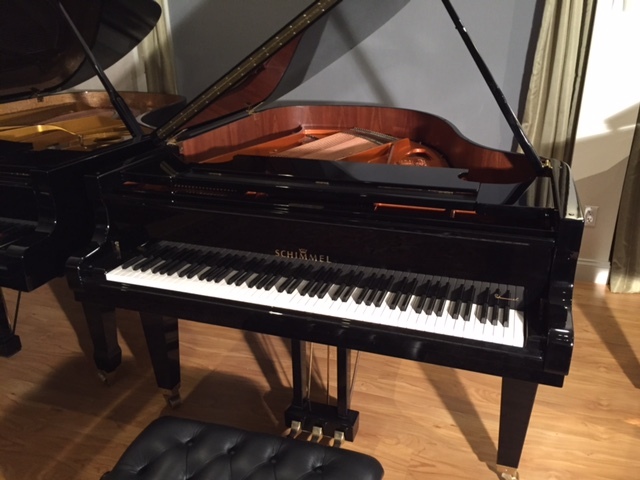 Kept in excellent condition and brought to its utmost by our expert piano technicians. This instrument was originally sold in the USA and is not one of the so called 'grey market Yamaha pianos'. As good as new and made for the American market. This piano was traded in to us and received the utmost preparation and service. It is in original mint condition. 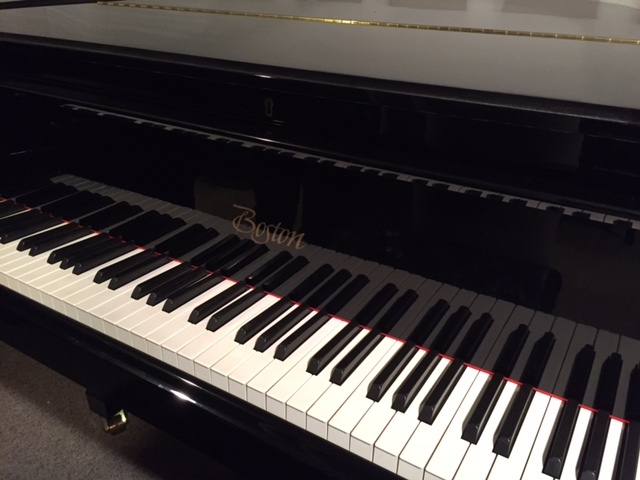 Purchased by its first owners in 2010 and traded towards one of Allegro Pianos higher end instruments. Our master technicians have brought it to perform at its highest potential. Pictures don't do justice to this beautiful piano. 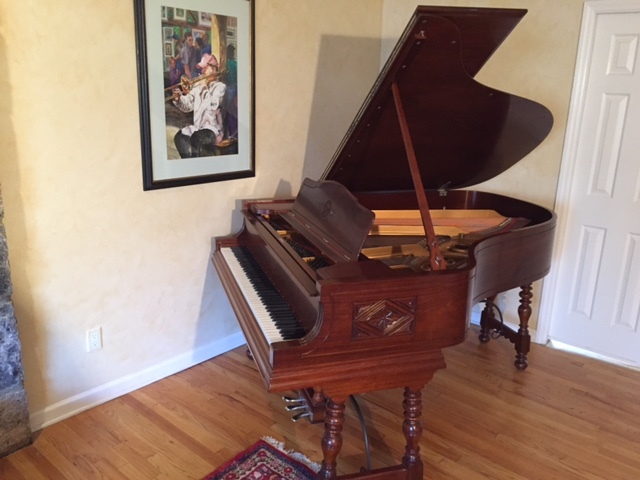 Steinway model B (6'11) - circa 1890. It plays better than new and looks like new! 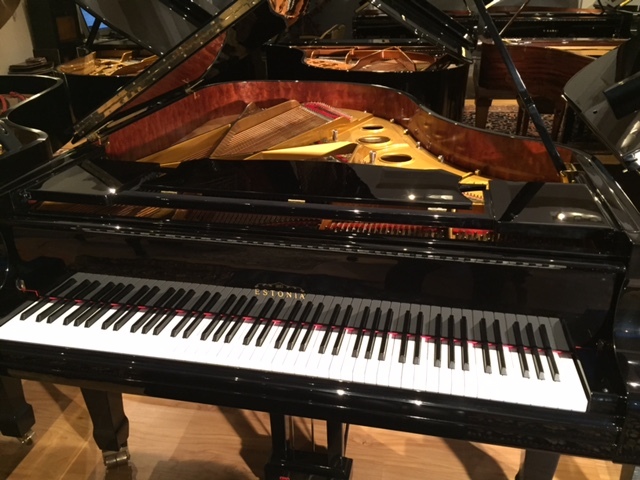 Our expert piano technician team enhanced the performance and looks of this instrument to perform at its very, very best. 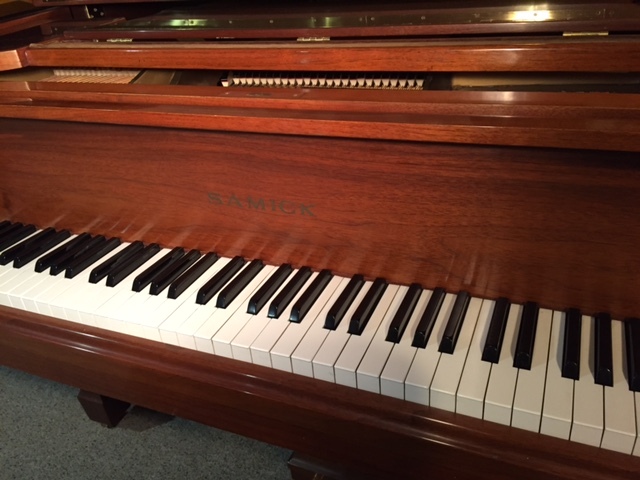 This piano was made prior to Schimmel having been purchased by its current owners (a piano company based in China) and was made at the time when all instruments bearing the Schimmel name were still produced in Germany. 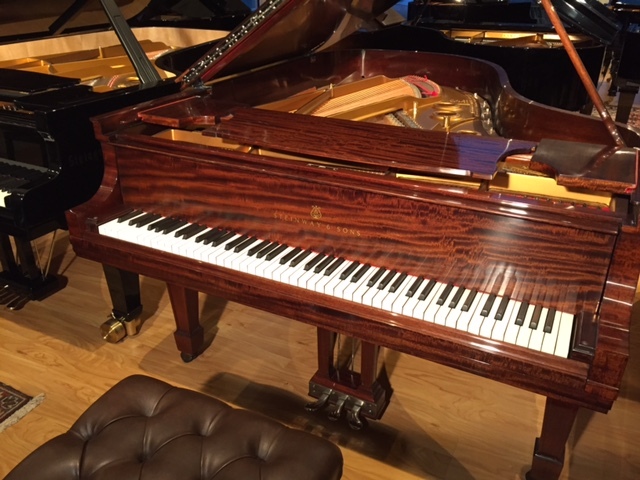 A powerful and engaging piano, It is in as perfect a condition as a piano of this age can be with its finish and performance enhanced by our expert technical team. 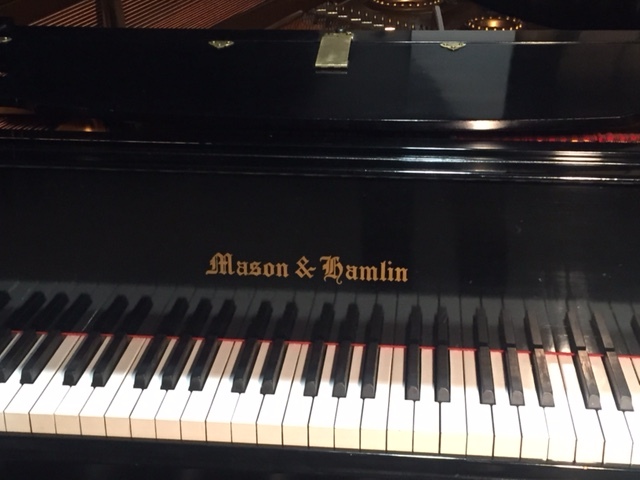 This piano still contains the sought after Renner action parts as in later vintages, M&H moved to use action parts produced in China. This most sought after, recent vintage Estonia piano, is a rare find. 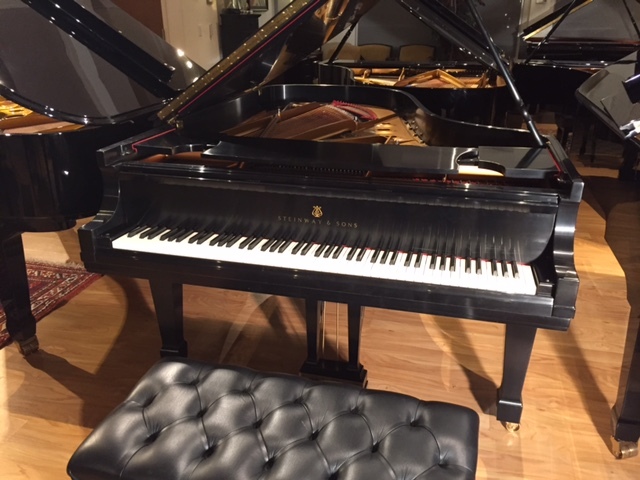 Experience this wonderful piano and you will be clear as to why Estonia Pianos have become the most successful handcrafted European piano sold in the USA. 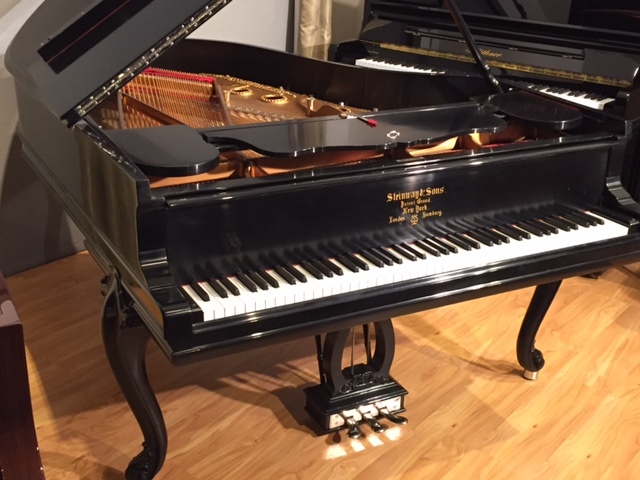 Bosendorfer model 155 Baby Grand 5'1. This is actually a new piano that is offered at an attractive price. 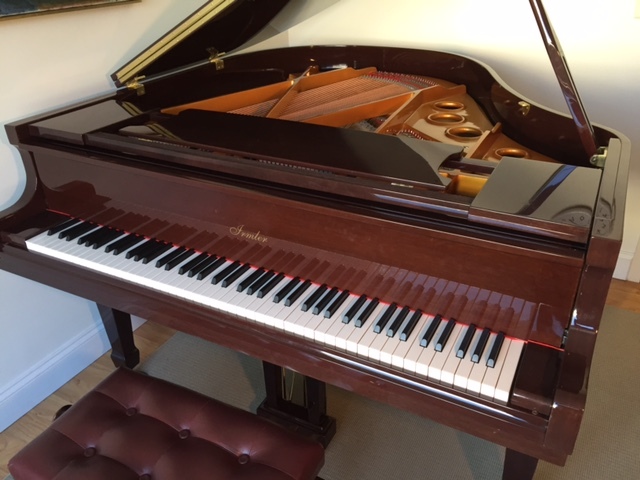 An opportunity to own a wonderful Bosendorfer piano. 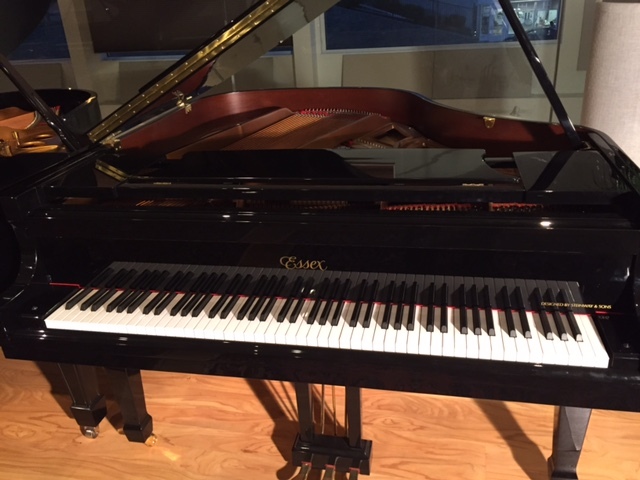 This is a new piano that has never been sold or left Allegro Pianos showroom. 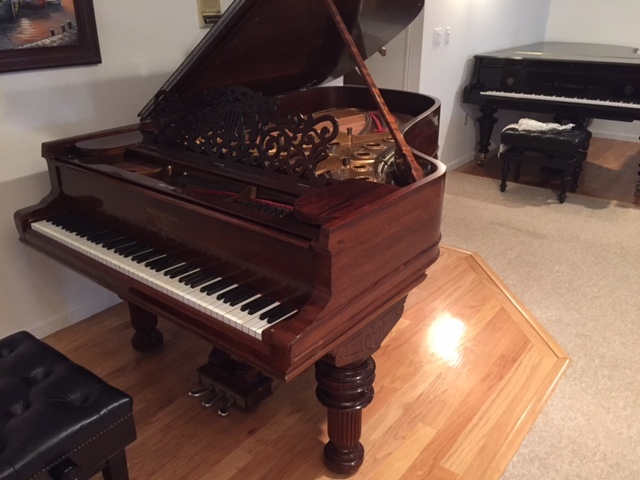 ​An opportunity to own a very musical Bosendorfer piano at a very attractive price. 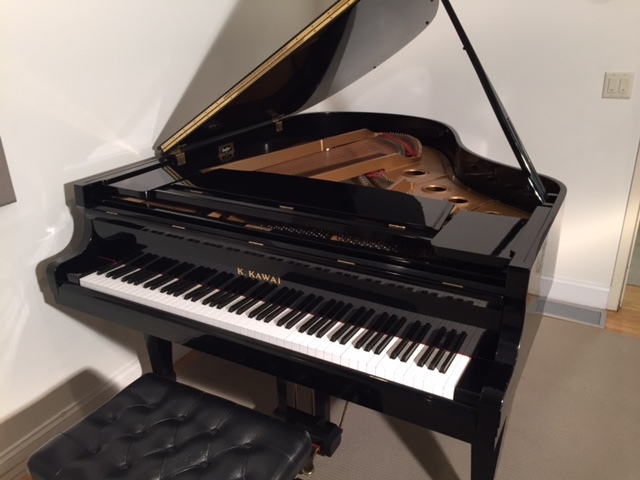 This beautiful young piano was made in Austria prior to Yamaha's purchase of the brand. 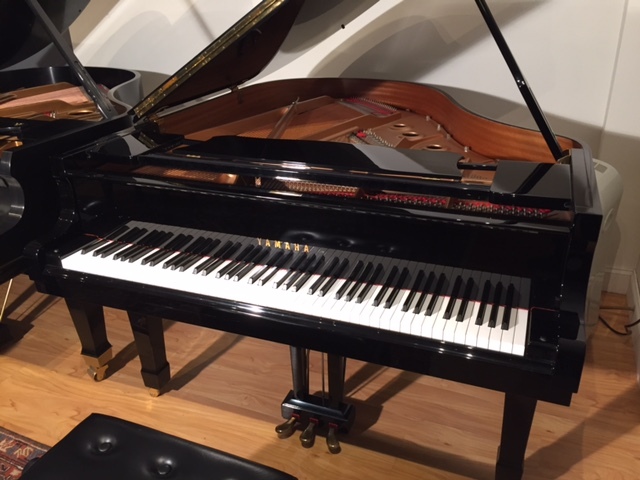 It has the original Renner action - which is the same action found on other high quality European piano makers such as Bluthner, Steingraeber, Estonia or the German Steinway and is in an excellent, like new condition.